Another of the more disconcerting sounds of the Australian bush at night, the throaty coughs and growls of a Common Brushtail Possum (Trichosurus vulpecula) sounds more monster than fluffy marsupial! 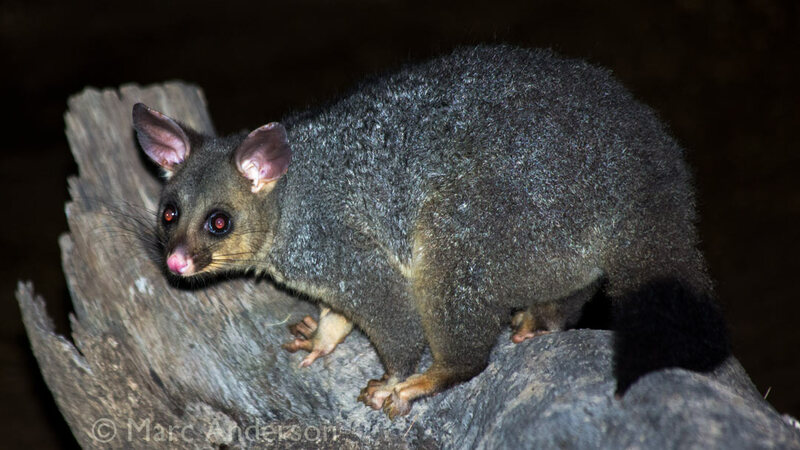 The following recording was made at Dunn’s Swamp in Wollemi National Park, NSW and captures a couple of possums having a territorial disagreement! In the background you can here the calls of White-throated Nightjar, Southern Boobok and Banjo Frogs.